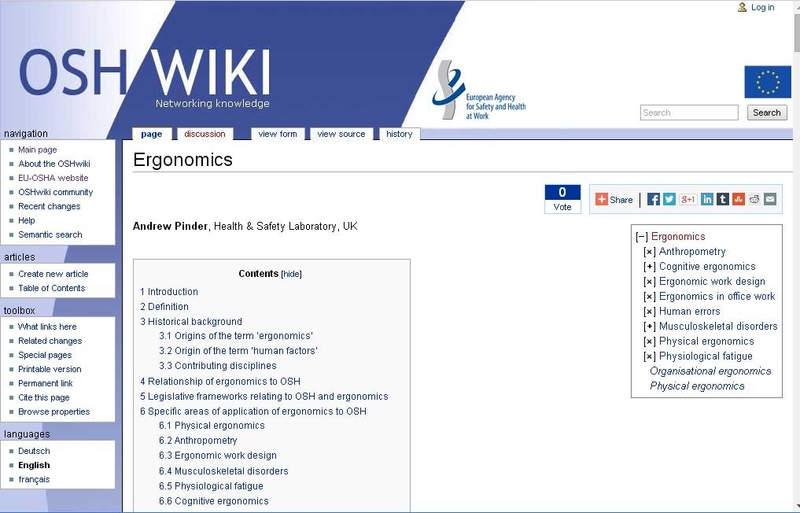 OSHwiki is a reliable source of ergonomics and more OSH information. Contributors include many national organisations for occupational safety and health as well as leading research institutes and accredited authors can create and edit content quickly and easily. With nearly 300 articles already uploaded by OSH experts, topics found on the platform cover areas such as OSH management and organisation, dangerous substances, psychosocial issues and groups at risk. 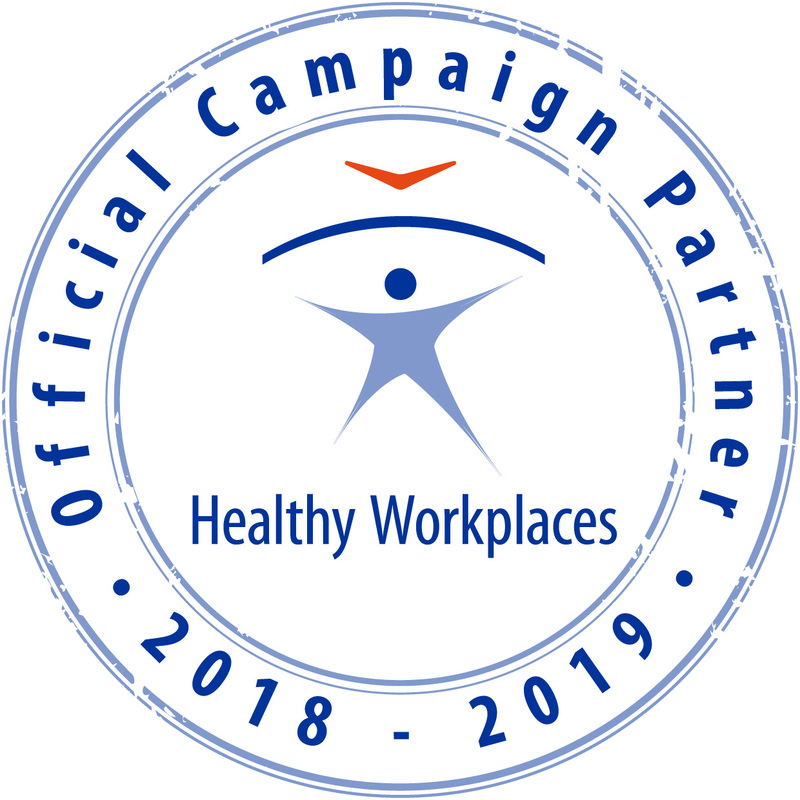 As a one-stop shop for OSH content, OSHwiki aims to be the go-to resource on health and safety for the OSH community and beyond. 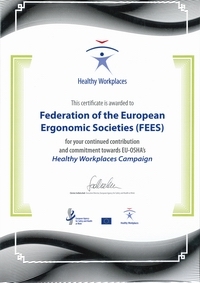 There are several pages dedicated to ergonomics, covering physical, cognitive, and organisational ergonomics, the category Musculoskeletal disorders contains 14 pages from "Assessment of physical workloads to prevent work-related MSDs" to "Work-related musculoskeletal disorders among hospital workers"